Modern homes now a days are focusing on different elements that promise to add the charm. From kitchen to bathroom, backyard, living room, bedrooms, every nook and corner are ensured to be elegant enough to compliment the overall interior. From huge furniture items to home furnishings, utilities, everything are taken extra care while being picked. Bathroom for example, is not the area not taken care of whilst the stuff is being shopped to be the part of it. 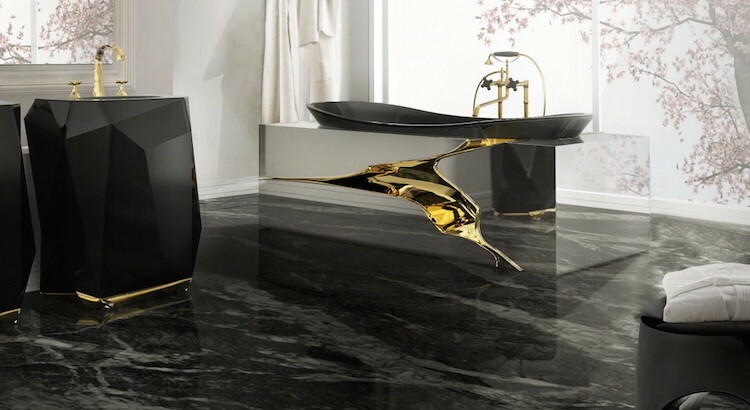 From faucets to bathtubs, stools, wash basins its like each and every thing is chosen to compliment and gel well with the interior of the home. 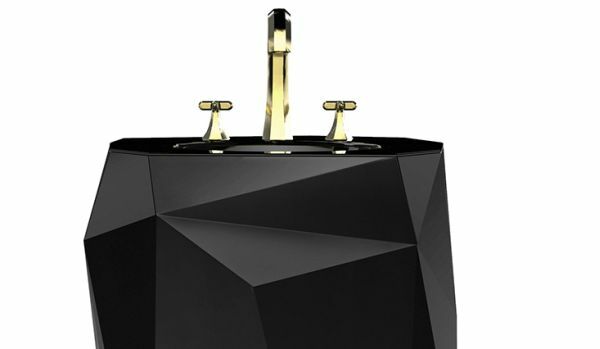 A few days back we came up with a post on some of the superb Kakudai Unique Faucet Range For Modern Homes. Hope you all liked it. 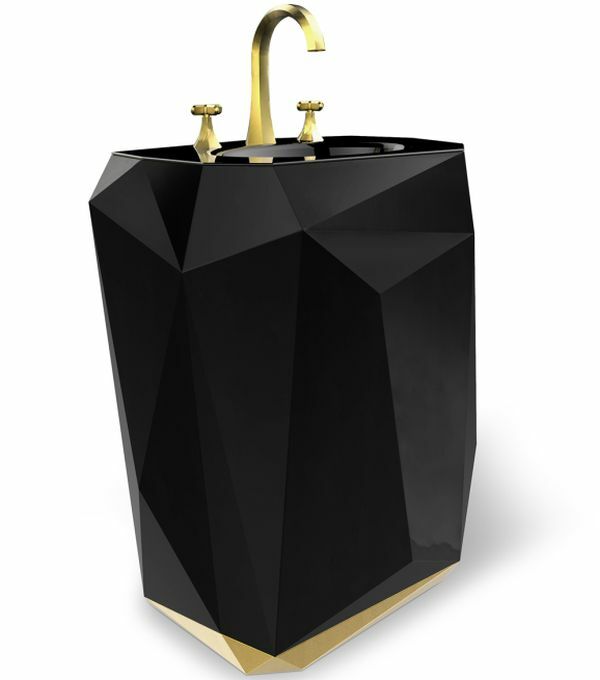 Here is range of Diamond freestanding washbasin, Lapiaz bathtub and Erosion Stool for modern homes. From Maison Valentina, here we have come up with the collection of superbly designed products that promise leave you stunned by their beauty in just one glance. 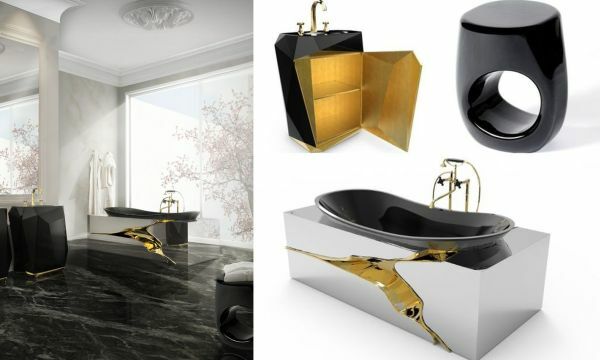 Pinned below are the images of the Diamond freestanding washbasin, Lapiaz bathtub and Erosion Stool for you all to check them out and read a bit about them to finally decide on your pick for your modern home to make these the part of the bathroom thereby adding the charm and elegance. Lapiaz is a French word. The bathtub being talked about here is made up of typical karst formations produced by surface dissolution of limestone or dolomite rocks, it can also be caused by freezing and thawing in cold climates. 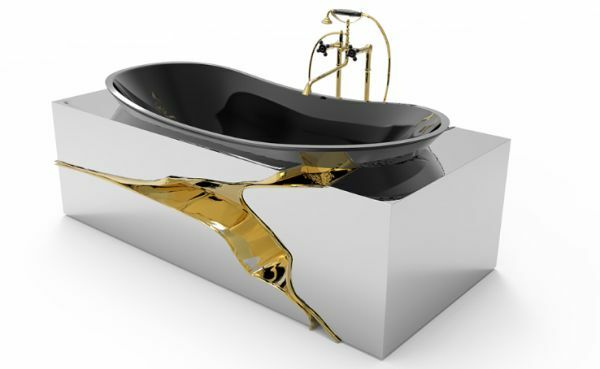 The polished brass details and mirrored sides attribute added to the overall charm of the bathtub. 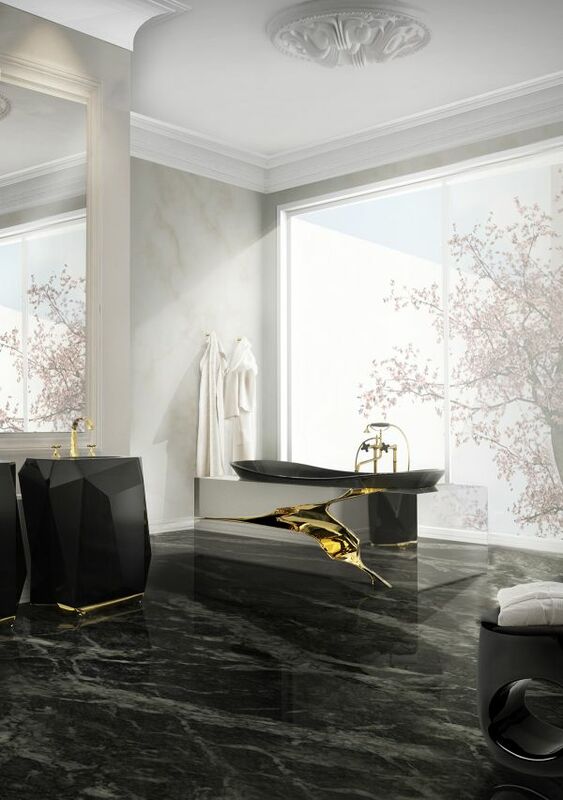 The luxury design artwork with comfort and warm beauty is definitely a statement piece for the most luxurious bathrooms. 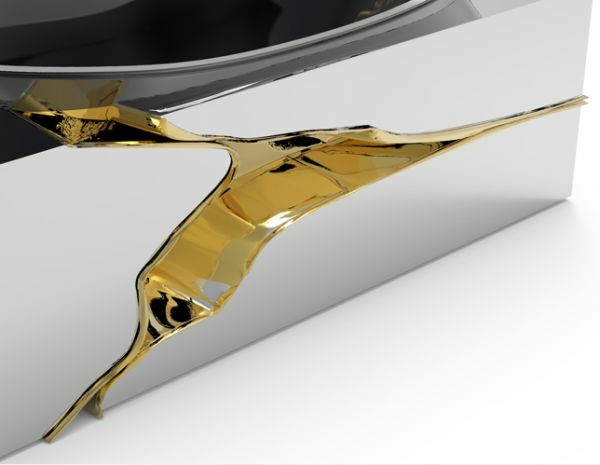 Diamond Freestand is an exclusive decor item that while maintaining the balance between the timeless values of decoration and provides the utmost quality with an ever-growing modern vision. 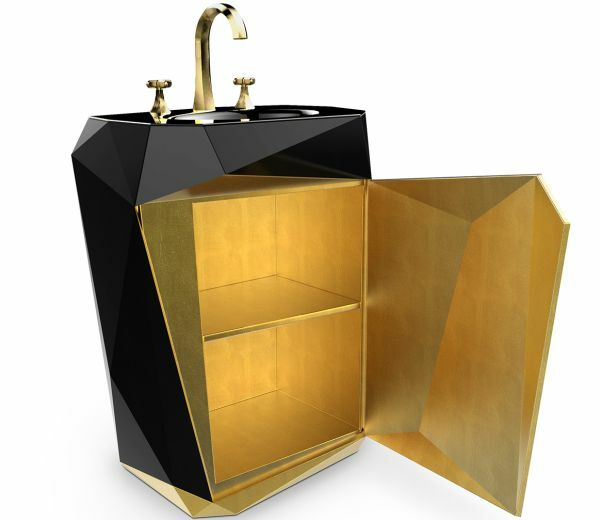 With the little cupboard below that gets covered, this superb freestand washbasin is functionally smart besides being simply elegant. 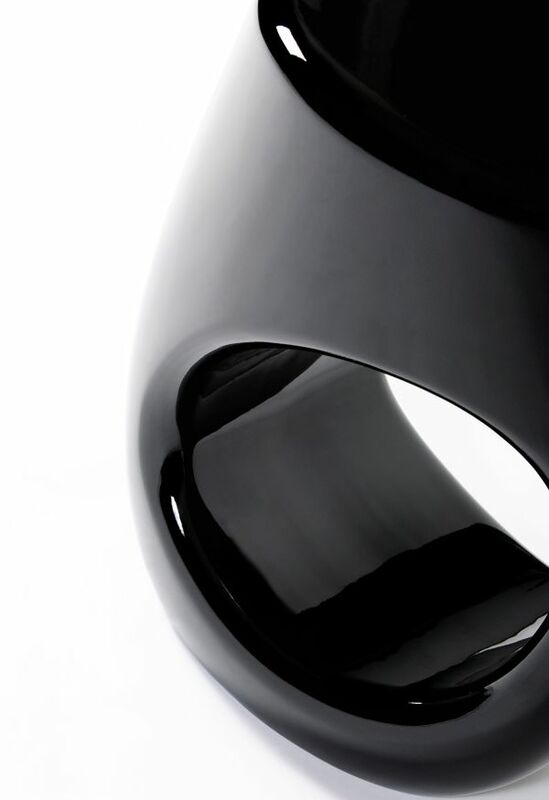 Erosion is a small stool that can well be called as a sculptural piece that is handcrafted from resin and fibers with a high gloss lacquer finish. 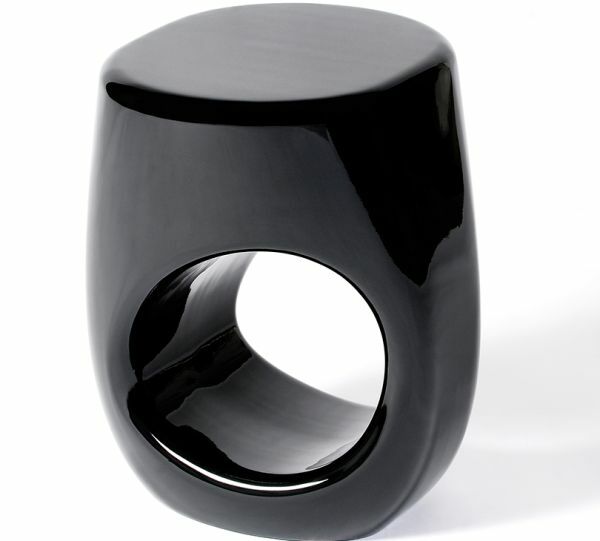 The best part is that the users can choose the color and the stool can be customised as per their choice of color. 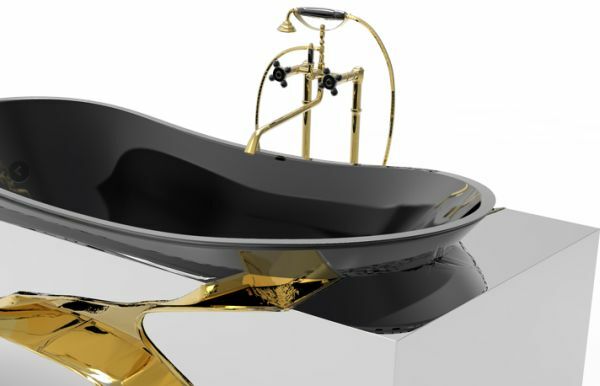 For now we have added three of the charming articles to be picked from that is Diamond freestanding washbasin, Lapiaz bathtub, Erosion Bathtub. There are many more items that Maison Valentina has in store for you all which we will be posting here at EverCoolHomes in the days to come. Stay tuned!